It only takes a simple example to remind you how e-commerce continues to evolve and the potential it has to disrupt traditional markets, supply chains and even governments. Let me tell you how international e-commerce is changing one buying pattern and why it will reshape global logistics operations and government import regulations. The moral to the story is that significant e-commerce change doesn’t always start with a big bang, but failure to see change coming can leave many companies at a competitive disadvantage and keep governments from getting their fair share of the international trade pie. So why would anybody care about individuals buying directly from some company in another country? At a low level, the answer is no one would. But what happens when it becomes 20% of the inbound shipments into a country? Now we are talking about traditional supply chains being disintermediated, goods entering countries without duties being paid and governments with no easy way to track it. Let’s run through an example to demonstrate the impact of this scenario. In the traditional model, products such as electronics sold into Europe would have entered in a container in bulk through ports like Antwerp or Rotterdam, been deconsolidated by a freight forwarder in the Benelux or transshipped further into Europe. The importing company would have declared the goods, and the government would have known who they are and what duties needed to be paid. The distributor/retailer of those electronic goods would have sold them across their region or even across Europe. All of that changes with a direct-to-customer international e-commerce model. Those electronic goods are bought on a website in China or a different country and shipped individually to the end customer. The distributor/retailer goes away. Instead of an ocean carrier and a forwarder, goods come through an express carrier directly to the buyer who the government doesn’t really know. Depending upon the country and the express carrier, the duty is not declared, or properly declared, or the value of the goods is considered to be so low that no duty applies, or the carrier isn’t collecting it. It’s easy to see the degree of disruption that can occur to the flow of goods, information and ultimately money. As governments realize the magnitude of the impact to their duties income, there will be changes to import policies to close the loop on missed revenue and to shift the burden of enforcement to supply chain partners. In the article “Your cheap imports from China are about to get more expensive,” we see that the Swedish government has told PostNord, the Swedish postal service, to change its duty collection practices to plug this loophole — and that PostNord customers can expect to pay additionally for the service. Will the additional charges stem the tide of international e-commerce? Probably not, but they will change how the ecosystem participants act. If you project these implications forward, there are six likely changes. 1. Governments will go after every missed cent and alter how global e-commerce operates. Capturing global e-commerce revenue will become the “new security filing initiative” that has kept governments busy for the last 10+ years. Like Sweden, they are already starting to recognize there is a significant hole in their management of imports and are putting effort into policies, practices and technology that helps to ensure they are getting all of their money. 2. E-commerce companies will be coerced into providing the import information that governments will require to help collect duties on all shipments. Governments are going to expect that sellers properly identify their products, know whether a given product can be shipped to a given customer in a given country, know the proper declared value of a product and the duty the customer should pay. E-commerce vendors that don’t comply will have their shipments rejected or held for that country. 3. Logistics services providers will be required to enforce new government policies. The volume of small shipments will continue to grow and government agencies will not be able or want to scale to manage the entire duties identification and collection process. This could take the form of extended collection services as mentioned in Sweden to rejection of shipments in the country of origin in the case of non-compliance with import regulations. 4. Logistics services providers will expand their global trade management capabilities. Few e-commerce companies will want to become global trade experts, especially across numerous countries. From product classification to total landed cost, denied party screening, country-specific customs data requirements and, as mentioned, even duty collection services, logistics services providers will be presented with opportunities—and requirements—to participate in the rapidly expanding global e-commerce market. 5. Traditional freight forwarders will have to adapt their operations to participate in the “parcel chain.” The shift to smaller shipments has been ongoing for a while but is really going to accelerate. Instead of being good at moving larger shipments, freight forwarders will have to excel at providing value-added small package services to global e-commerce companies. 6. Local retailers and distributors will need to excel at “drop-ship” operations with their overseas suppliers. There is no reason that local companies cannot compete against global e-commerce companies; however, supply chains will need to be realigned and greater electronic integration between participants will be required to be as agile as global e-commerce companies. This also presents an opportunity for logistics services providers to offer global supply chain and customs services to help local companies compete. Global e-commerce is one of the fastest-growing industries and, until now, it has not been fully understood by governments. As governments try to close the import revenue gap, they will change how global and local e-commerce participants, trading partners and logistics services providers act. There are clearly opportunities for logistics services companies to take on a broader role; however, they will need to expand global trade management capabilities to participate. How is your company being impacted by global e-commerce and what are you doing? Let me know. As Executive Vice President, Marketing and Services, Chris Jones is primarily responsible for Descartes’ marketing and professional services organizations. 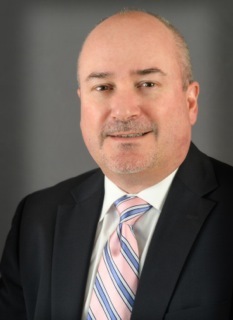 With over 30 years of experience in the supply chain market, Chris has held a variety of senior management positions including Senior Vice President at The Aberdeen Group’s Value Chain Research practice, Executive Vice President of Marketing and Corporate Development for SynQuest, Vice President and Research Director for Enterprise Resource Planning Solutions at The Gartner Group, and Associate Director Operations & Technology at Kraft General Foods.